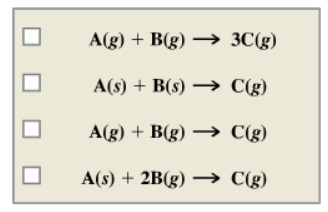 Solution: Which of the following reactions have a positive delta S rxn? Check all that apply. Which of the following reactions have a positive delta S rxn? Check all that apply.